This post is part of the The Gish Sisters Blogathon organised by Movies, Silently and The Motion Pictures. Do check out the other entries as there’s some fabulous contributions, see the complete list of participants here. 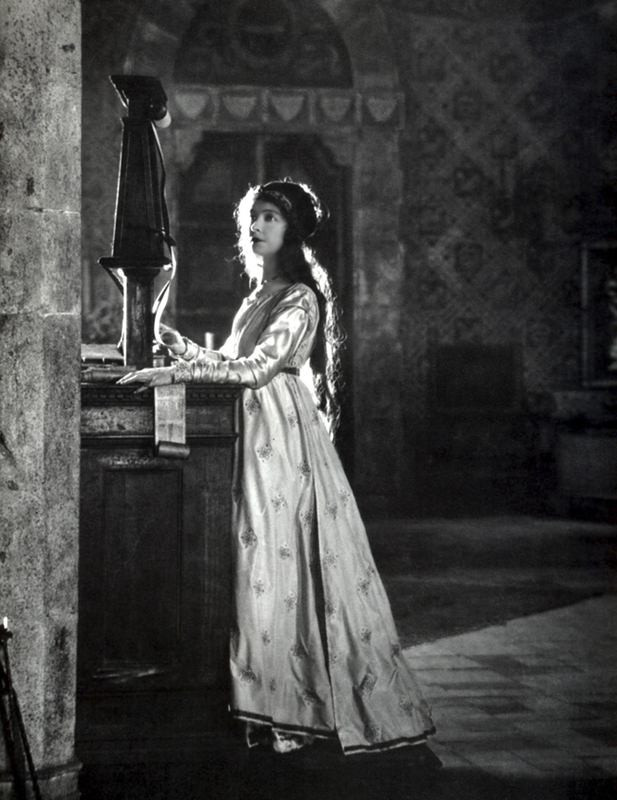 Romola (1924) is a visually spectacular rendition of George Eliot’s novel of the same name (published in 1863). Set in Florence, Italy at the end of the 15th century, both book and novel are consumed with society, encompassing everything from art to religion and social manners. 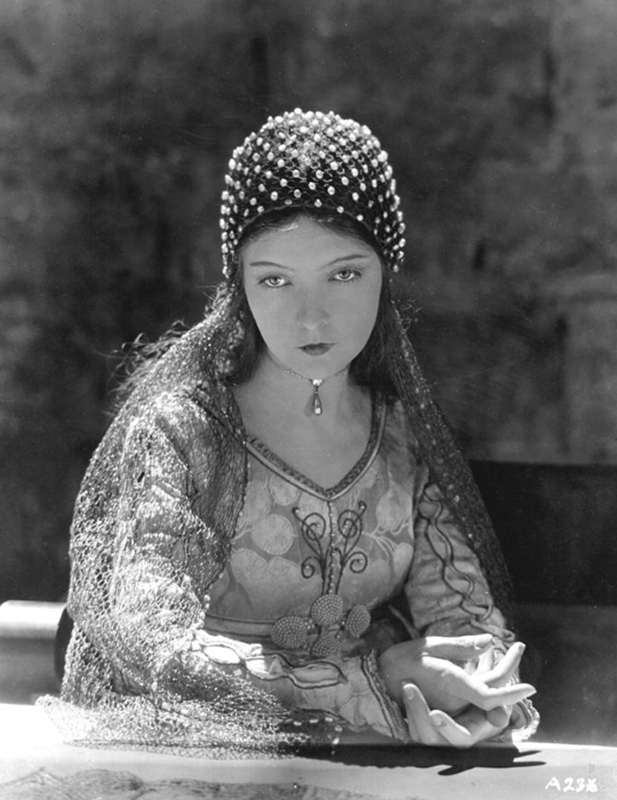 Lillian Gish, in the title role, was acting in her second film since her ‘parting of ways’ with D.W.Griffith, her mentor and the director of all of her earliest films. 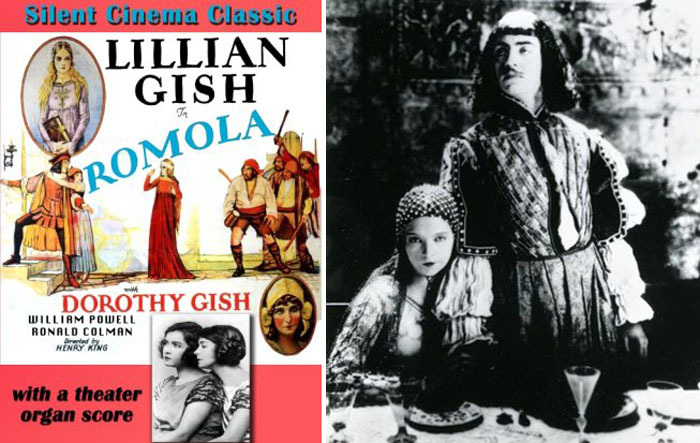 The White Sister, released in 1923 and directed by Henry King was Gish’s first solo project, and a critical and commercial success, Gish had every hope that Romola (also directed by King) would be too. She had signed a contract with Inspiration Pictures, a production company founded by Charles H.Duell and Boyce Smith, which gave her a share in the profits and secured a role for her sister Dorothy. 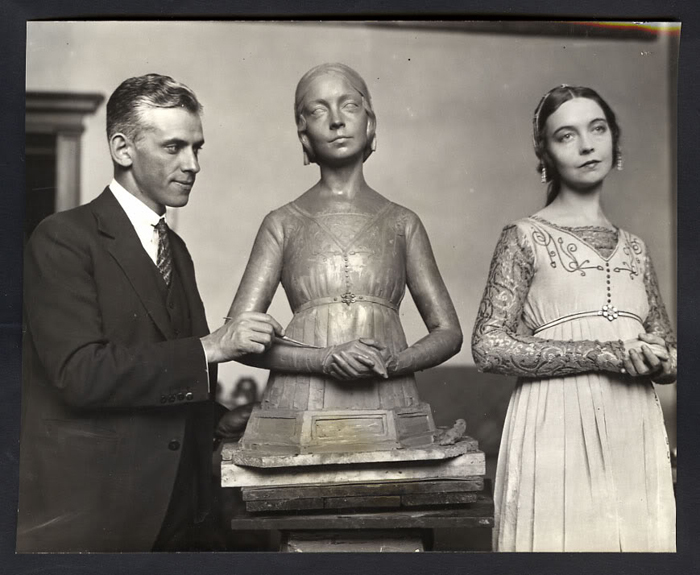 The contract also gave Gish more artistic independence than she had ever before enjoyed, but Charles Affron suggests that, even before leaving for Italy, Lillian was concerned about the cost of the production. Romola was filmed on location in Florence using Kodak’s panchromatic film, a new film that was sensitive to the full visual spectrum. 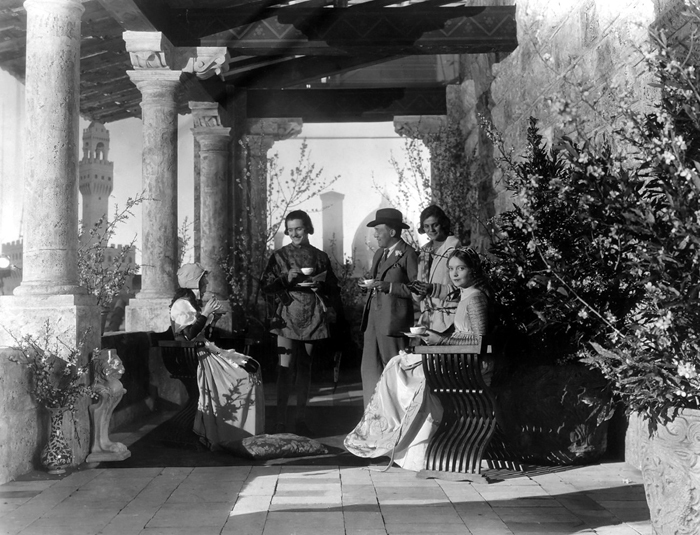 Although the film was difficult and expensive to use (in part due to the crew’s unfamiliarity with the stock) it was perfectly suited to the city’s romantic backdrop. A set, including reproductions of the Piazza della Signoria and Palazzo Vecchio, built on Florence’s outskirts by a group of Florentine artisans, added to the expense. The film, in which Dorothy Gish starred as country girl Tessa, wasn’t a great departure from the ‘Lillian Gish’ that Griffith had created and audiences had come to love, and included religious emotion, peril and pain; themes that were inextricably bound up with Lillian. Cinematographer Roy Overbaugh captured the actress in several luminous close-ups, and King was clearly inspired by the compositions of the Renaissance paintings that dominate many of the scenes. Several of the ‘tableaux’s’, kneeling at the knees of her dying father, holding Tessa’s baby, could have been taken straight from Antonello da Messina or Giovanni Bellini. Whilst they certainly did nothing to harm Lillian Gish’s image – and in fact reinforced her status as a star – they made the film a little slow paced and awkward. Whilst much was made about the visual splendour of the set, scant little is known about the costumes. The associations of Renaissance style are often little more than a stereotype bought to mind by films and TV shows and although there may have been overarching themes during the period, Florence had it’s own particular style. There, elite families could spend up to 40 percent of their fortunes on clothing, and it could take a skilled weaver up to six months to weave enough fabric for two sleeveless overgowns. Of course, Romola’s costumes were not made with such detail, but they were chosen – perhaps even by Gish – with authenticity and impact in mind. 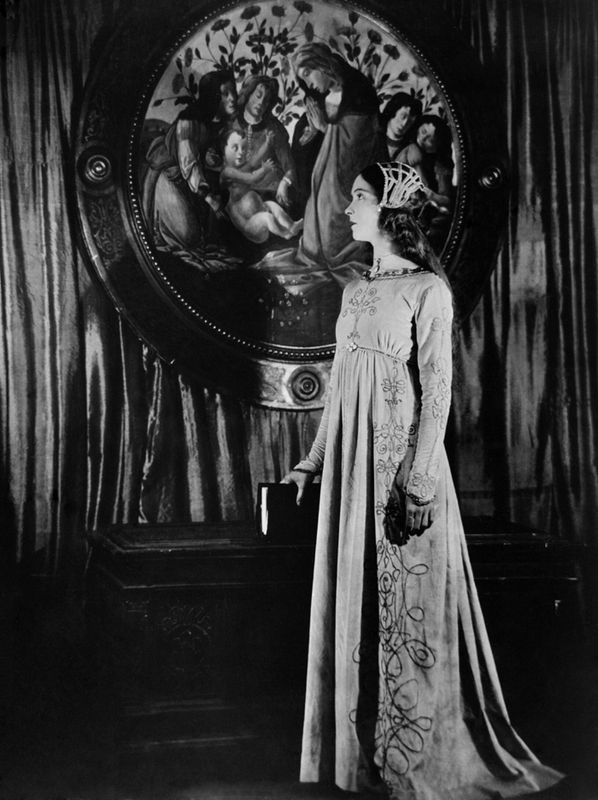 Whilst it’s clear that the set (and city) was almost pure Renaissance revival, Lillian Gish’s costumes seem to borrow more from the Pre-Raphaelites; unsurprising considering that they favoured the early Renaissance. 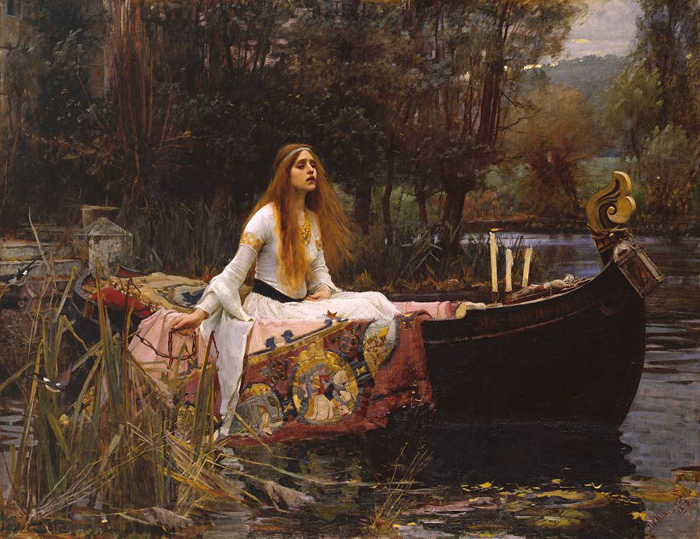 In certain scenes Gish is imbued with the gravitas of John William Waterhouse’s The Lady of Shallot, ethereal, pure, good and full of gravitas, she is assured of her place in the world. That character is in direct contrast to Dorothy, who is flirtatious and rambunctious but always believable. Although Romola was Lillian’s project, Dorothy’s character steals the show. 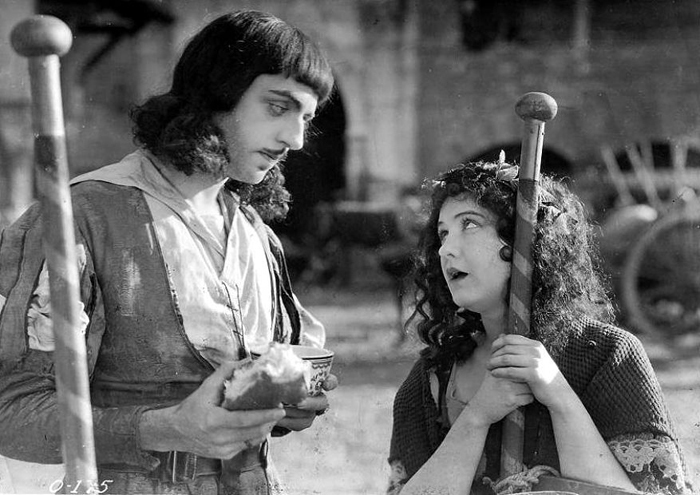 It’s hard not to feel empathy for Tessa, and her performance is imbued with the light comedic touches she had developed during the Griffith-supervised films she had starred in from 1918-20. The film, though widely anticipated, received a lukewarm reception. 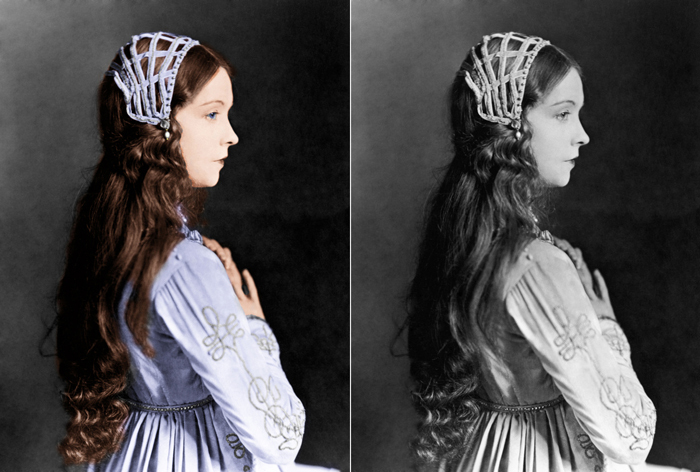 Lillian Gish, who had worked tirelessly on post-production, must have been disappointed, but other events no doubt distracted her. In the mid-192s, she became embroiled in what was to become a protracted legal battle with Charles Duell, over money he claimed she owed him. Thanks so much for the fascinating information on the costumes of Romola! Stage and screen costuming has long been a fascination for me and I found your article quite illuminating. Thanks for participating in the blogathon! Wow, I really want to see this film. Besides having the adorable Gish sisters, it has also two personal favorites: Colman nad Powell. Thanks for the tip and for a great article, filled with wonderful pictures. First of all, thank you for taking your time to comment on my blog entry. I loved all the background information you posted in this post, along with your insight on costumes and the marketing of this film vs Gish’s opinion about her looks. I have often wanted to watch Romola because of all the beautiful pictures I’ve seen of the film, but your entry makes me want to watch it to see Dorothy. I still haven’t seen Dorothy in any picture, not even in a Biograph! 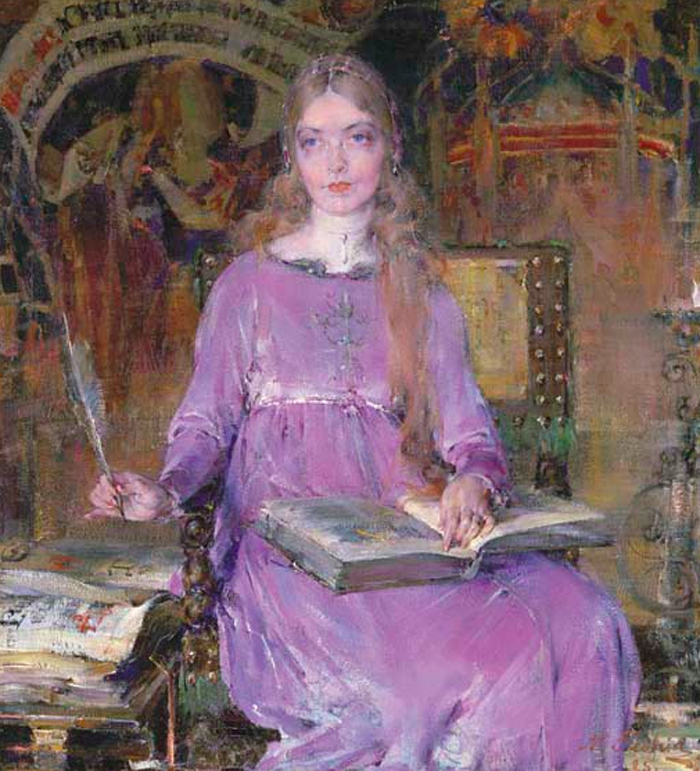 I also agree that Gish has a certain quality that is similar to the female beauties that grace Pre-Raphaelite paintings! That was an interesting essay. The beautiful images enhanced it greatly. I could see the Pre-Raphaelite influence in the costumes. Thank you for sharing. I’m glad you enjoyed reading! I had such fun researching this post. For some reason I haven’t seen this film yet but I’m really looking forward to it. I like your analysis of the design and costumes and art. Very nice writing. I hope you enjoy it when you do. It’s certainly one of the most visually spectacular films I’ve seen in a while. Thank you for dropping by! Wow, what an interesting discussion of costume and art you have provided for us. And you chose some beautiful photos as well. Those paintings are amazing. Terrific addition to the blogathon. Thanks so much for sharing. No – thank you for stopping by and commenting! What a fabulous piece – I have wanted to see this for years after reading George Eliot’s great novel, but haven’t as yet had the opportunity. I’m also fascinated to see that William Powell played Tito. Do you know what the quality of the Grapevine DVD is like? This is yet another film that really needs a full DVD release! I love your stills of Lilllian and Dorothy and the comparisons with the paintings.